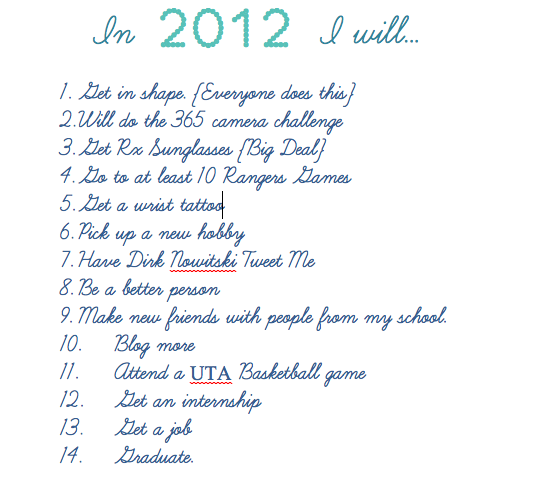 Like everyone, I also made some New Years Resolutions. Have a safe night! Cannot wait for the New Year!